** See below for a chance to win a Glamping weekend! Escape the urban jungle and spend a night under canvas in Teversal Camping and Caravanning Club Site’s new luxurious Safari Tents! The pre-erected tents comfortably sleep up to four people and come fully equipped with modern amenities– all from just £40 per night! Items provided include; one double bed, two twin beds, mattresses, pillows, duvets, lamps, bedside tables, a table and chairs, crockery, cutlery, cooking utensils, saucepans, a fridge, a water carrier, deckchairs and a barbeque. Additionally campers will be able to take advantage of the tent’s built in kitchen which comes complete with a two-ring gas burner, grill and sink. 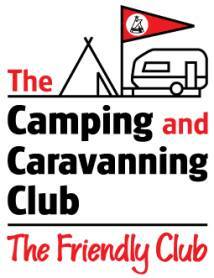 Teversal Franchisees, Jayne and Chris Woods are delighted with the Safari Tents and they said: “Campers that visit our site expect a high level of service and accommodation and our new tents will not disappoint. “As a site, we are continuously looking for ways to enhance our customers’ experiences and this is a great way to enjoy the beauty of the great outdoors in a more luxurious environment. Camper Susan Brodie, travelled with her family to experience Teversal’s Safari Tents and she added: “My son was thrilled when he saw the tents, they’re fantastic fun for all the family. “With a fully opening frontage and sun canopy area, we were able to ‘bring the outside in’ yet still feel pampered in the tent’s lavish interior. Low Season: £40 per night. High Season: £60 per night. 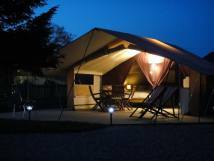 The Safari Tents are available to book for a week’s stay (Saturday to Saturday). 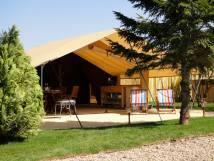 A short break (minimum of three nights) can be booked if the tent is available two weeks prior the arrival date. A non refundable deposit of £100 is required at the time of booking with the remaining balance due to be paid 28 days prior to arrival. For a short break, full payment is required at the time of booking. 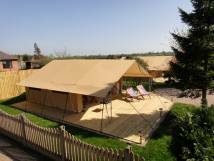 Enter the Competition to Win a Weekend Glamping in a Safari Tent!